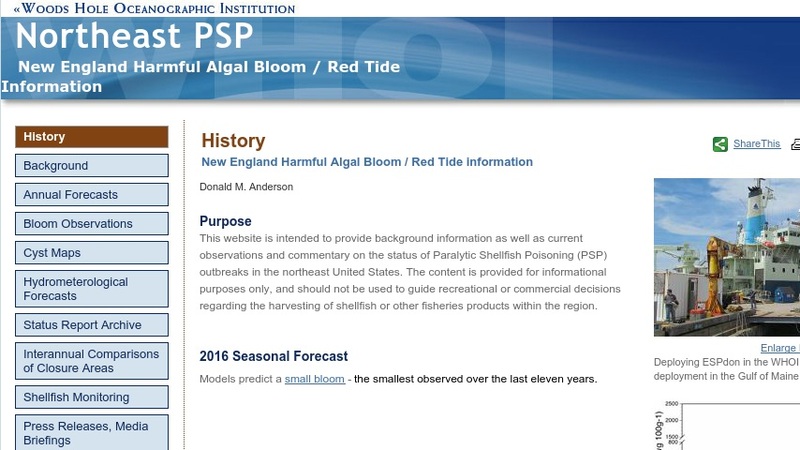 This Woods Hole Oceanographic Institution website provides general information about the 2005 outbreak of toxic alga Alexandrium fundyense, a type of algae that causes red tide. This bloom outbreak is the worst in New England since 1972 and occurred off of the Gulf of Maine. The site also addresses possible causes for the bloom, why the bloom was so intense and widespread, and its economic cost. The web page features color diagrams of infected sites, pictures, and links to related sites.